The Breadwinner is a story about a girl named Parvana and her experience with the Talibans and the lack of egalitarianism, human rights, education and horrible healthcare. This book takes place in Afghanistan. 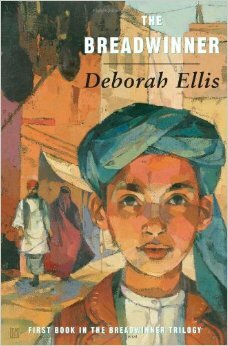 Deborah Ellis describes the story so awesome so when you read The BreadWinner it feels and sounds like you’re there. Please give me a couple of examples from the book here. The part i disliked is when parvana ahd shazea went imto the soccer games and saw a person suffer. I can’t wait to read the 2 book of The BreadWinner!!!!!! !